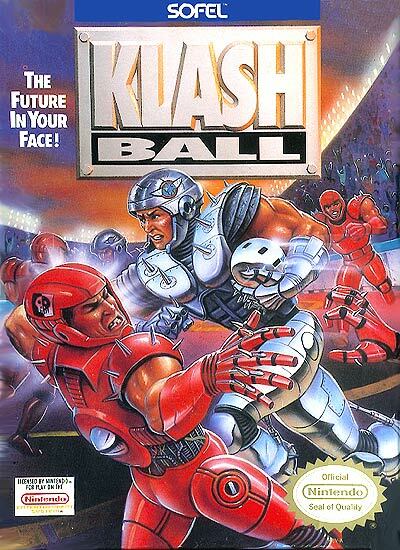 It's the 23rd century, and soccer, basketball, and hockey... More have merged to become KlashBall. The game consists of two armored five-on-five teams who must use their great strength to wield a three-kilo ball into the opponent's goal. The steel-floored arena comes equipped with KlashBall essentials, such as warp tunnels (throw the ball into one and it will come out of the other), ball launchers (start play like a face-off in hockey), and bounce domes (repel the ball). Whichever team has the most goals when time runs out is victorious. There are three teams to choose from, with which you can take on a whole league and earn the Power Bowl Championship by defeating 10 teams in a row. You can also choose to play a best of three match against the computer or a human opponent. ~ Christopher Michael Baker, All Game Guide.